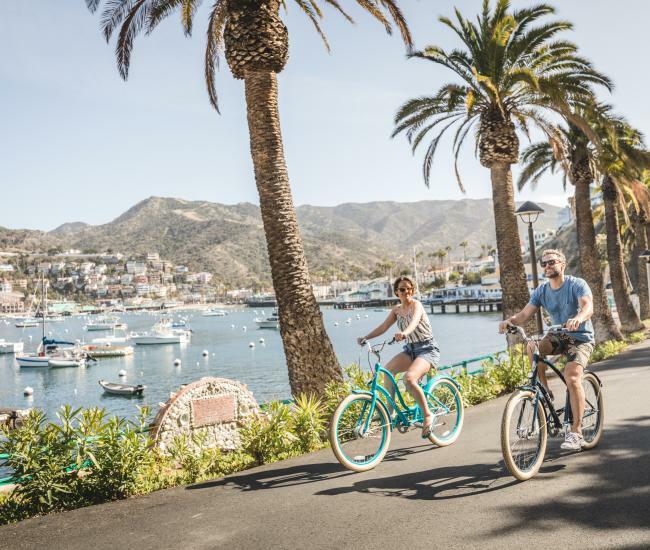 With its temperate weather, safe environment and convenient location, Catalina – aka Kidalina – is the perfect destination for families with kids of all ages. Did you know that Catalina Island is home to bison? These amazing animals were brought to the island during the 1920s for filming and they never left! They still roam free on lands owned and maintained by the Catalina Island Conservancy. Take an eco-tour to view them and more of the wildlife on the island. Catalina Island has three beaches to choose from in Avalon. South Beach, Middle Beach and Step Beach are public beaches along Crescent Avenue. These beaches are only steps away from Avalon’s many hotels, shops, restaurants, restrooms and recreation. One of the last private beaches in California, Descanso Beach is located just beyond the Catalina Casino. Catalina has a spectacular zipline tour with soaring views of the island. It’s the only zipline in LA and Orange County and begins 500 feet above Descanso Canyon. The five ziplines travel over three quarters of a mile and up to 35 mph. Kids will be thrilled by native ocean life on a glass-bottom boat tour. On Catalina Island boat tours, your family will experience the many species of fish and marine life that dwell in the kelp forests along the island. Let’s face it, submarines are cool and two of the coolest, the Nautilus and the Seawolf, are found on Catalina Island! Expert guides will educate your family on the ecology and history of the island – make this a part of your itinerary for your island vacation with your kids. Who knew you could snorkel on an island in California? 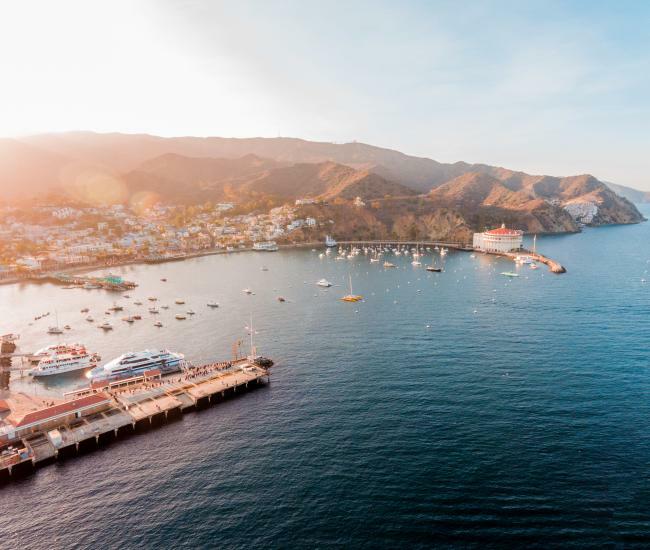 Catalina Island specializes in some of the best snorkeling this side of the border. What island adventure would be complete without parasailing or tubing? Whether rising high above the water for amazing views of the coastline or speeding along in a tube, kids 5 and older will have a blast on these water adventures. Catalina Island fishing is some of the best in southern California! One of the fun trips for kids is the evening “Flying Fish Tour” from Afishinados Charters. 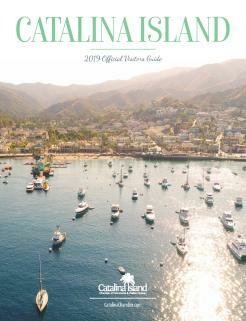 Did you know that Catalina Island Miniature Golf Course is an award winning mini golf course? And it’s open every day of the year, weather permitting. A kayak, paddleboard or pedal boat rental offers a unique way to enjoy the pristine waters of the Avalon Harbor. For a more personal and self-guided way to enjoy the island, your family would also enjoy the view from a motorboat. See more of Avalon at your own pace by renting a bike or golf cart. 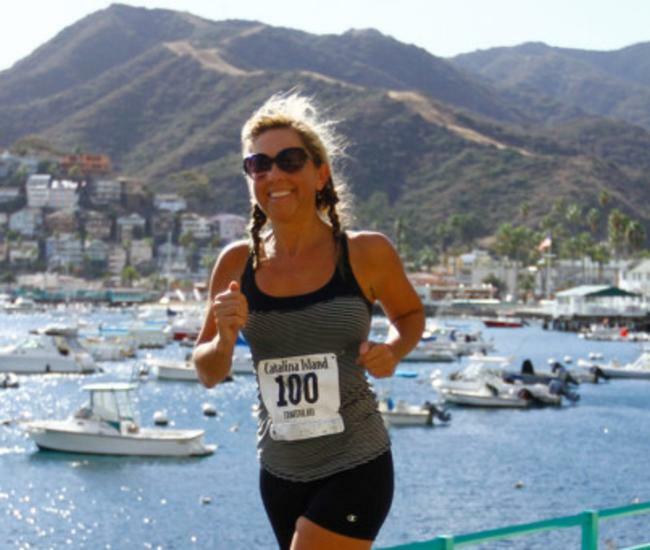 Catalina Island hiking offers some of the most scenic hikes in southern California. For an easy, family-friendly hike, try the Avalon Bay Trail that starts out from Avalon and features beautiful wild flowers. Do you have what it takes to beat the clock? Find out in one of our escape room attractions – one of the hottest new activities around has arrived in Avalon, and it’s fun for all ages! Visit Silver Canyon Pottery for a Catalina Island experience that will appeal to everyone in your party (even teenagers and husbands)! Learn all about the history of Catalina geology, archaeology, and cultural history all while creating your own tile souvenirs. NO experience or artistic skill required. It’s easy and FUN.